Please join us in worshiping our Lord and Savior, Jesus Christ. 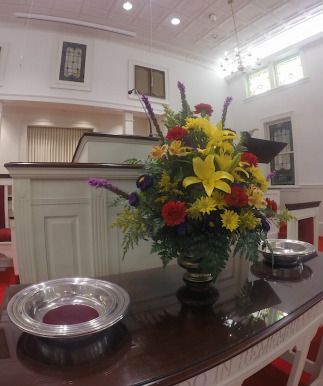 We follow traditional Southern Baptist theology, and welcome all people to join us. Our music is a blend of traditional hymns and contemporary praise and worship songs. About midway through the service, children age 3 through grade 2 go to our Children's Worship with two adult leaders. A nursery is provided with volunteers from our church who will provide good, loving care for your young child during the service.